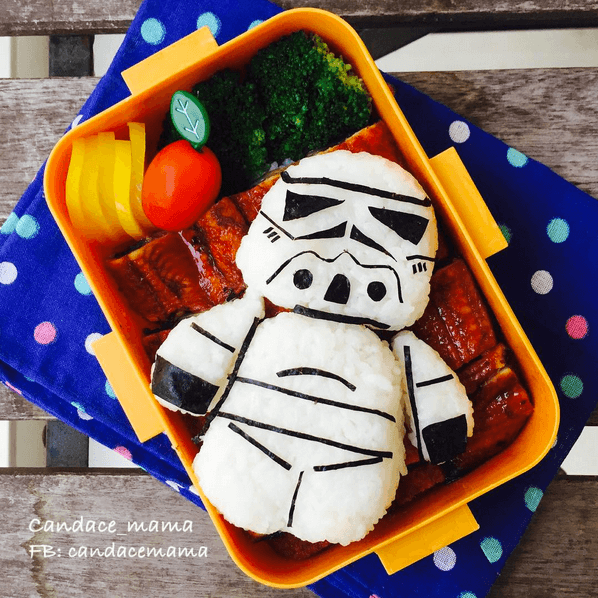 Hong Kong based food blogger and mother-of-two Candace Ku is taking the Internet by storm with her amazing lunchbox creations. Candace, who blogs under the name Candace Mama, painstakingly cuts ham and seaweed to create visually-stunning bento boxes for her kids. From Peppa Pig sitting on top of breaded pork and rice, to seaweed Stormtroopers, to Pikachu poached eggs, this is one clever mamma. Click through the slideshow below to see some of our favourites.